How to achieve better effect of peer support among adults with type 2 diabetes: A meta-analysis of randomized clinical trials. 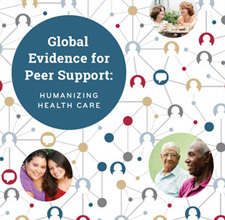 To study the effects of peer support on glycemic control and examine effects of different providers and types of support, intervention duration and effect duration. A meta-analysis of randomized control trials (RCTs) of peer support intervention for patients with type 2 diabetes (T2DM) from beginning to November 3rd, 2014.